WG, how hard would this be to fix? Played two games in a row with the same results. 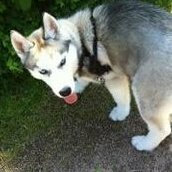 3 division mates want to play some games together, two tier 5 and a 6. And these are the games they are thrown into. 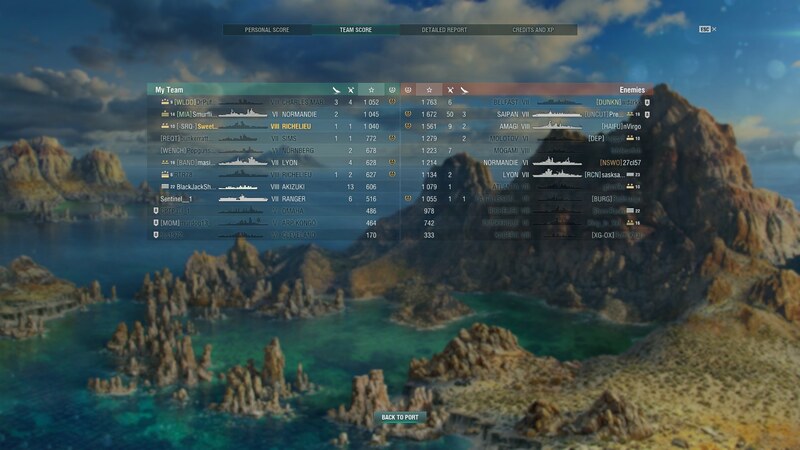 I understand MM has it's own secret sauce but how hard would it be to not PLUS FRIGGIN 3 tier 5 ships into tier 8 games? this is ludicrous. You do understand that if they didn't do MM this way, people would exploit it so they never had to play bottom tier, right? No I don't. why can't these two divisions simply get into a 5-7 game, they are still bottom tier. there are 24 players in that game that don't want them there. well, the reds don't mind cause its easy points....but what is the challenge of an NC vs a Konigsberg?......I think wvery single person wouldn't mind waiting an extra 13 seconds so that this didn't happen. It would guarantee that the T6 would never be bottom tier. Because two t8's with a t7 the 8's would never see t10 they would always be top or middle, there's other examples just too lazy..
Why is it so important? Can't the player with a Tier 6 just run a Tier 5 instead? There's a reason it's called a "Fail Division". Never division with someone of a different tier. MM has to place you into a match based upon the highest tier in your division (or people will abuse it). Since the current MM is +/- 2 tiers, that means if you have a ship in the division that's one tier lower, that means a 3 tier difference. it is even worse if the bottom tier ship in the division is 2 or more tiers off from the highest (have seen it). I've seen Tier 6's in Tier 10 matches, because the tier 6 divisioned with a Tier 8 (one guess which ship died first in that match). If you want to play together, you need to all play the same tier (or go into Co-Op). In Co-Op this wouldn't be a problem, but in Randoms you need to keep everyone in the division at the same tier. I keep a ship of every tier simply for this reason. If a friend wants to Division, I have a ship that I can use regardless of what they want to play that matches their Tier. I can't answer that..... as to why it's so important...... But a guy playing a tier 5 ship may have less than 40 games under his belt.... does he really need to be in a game with ships that can hold their own against tier 10 ships? does he really need to be in a game with ships that can hold their own against tier 10 ships? Does his div mate really have to bring a Tier 6 ship? With that example, I get your point, but they protect low tier players to some degree......how hard would it be to simply protect tier5 ships from tier 8? At least by the time you get to tier 7 (Assume) you have several hundred games under your belt....poor tier 5 players may have started today. That isn't the point. If you have a tier 6 player with one or two division mates at tier 5 simply put them in a tier5-7 game. it isn't rocket surgery. No matter how you want to explain it away you're advocating for an exploit, t5 doesn't need protected, pretty sure there are other posts on fail divisions..
You seem to be forgetting something. The Devs have said (repeatedly) that they will not be making changes to matchmaking any time soon and that they are happy with the current +/- 2 Tier matchmaking. Doesn't matter if it is easy or difficult, it is not going to happen. 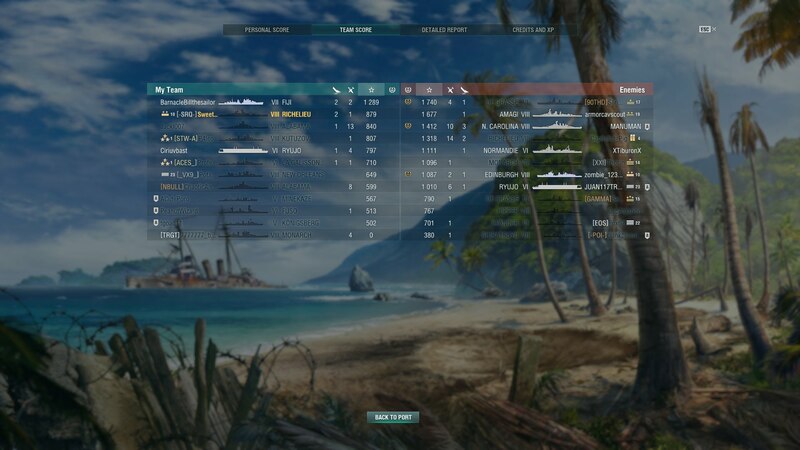 The solution is quite simple - knowing that MM goes off the highest tier in your division, and knowing that MM has a spread of 2 tiers - only division with ships of the same tier... and problem solved. YOU can solve the problem without any Dev needing to change the game. The fault isn't with the game makers, the fault is with the division that tried to bring in ships of different tiers within a division. I'm not advocating any exploit.... simply use MM to ensure that if 5's and 6's are together they get a 5-6 game, or they get a 5-7 game..... where is the exploit? Especially if two of the three are tier 5.......run the special sauce and put them in a 5-7 game. want to run uneven divisions, take the lowest tier and go from there. Of course it's easy for WG to do. The question is, why would they want to? For every div that had a legitimate need to do it, (maybe the one player sold his only T5 to get a T6) a bunch more would be running OP T5 DDs or T5 CVs, in order that the T6s didn't have to see T8s. I'd be the first one looking for an eligible T5 to div with my Spee. Not having to face T8s would let me really crank out the elite XP. It’s not a secret that a div will be judged by the highest tier ship to prevent exploits. That’s why a division with a tier difference is called a fail division. It’s a beginner mistake because they hope they will end in a match with mostly T5 so that the T6 can dominate the match. Because then the highest tier person in the division will never be bottom tier; that is the exploit. As you said, it's not rocket science. I understand that. JHC...... but to allow two tier 5 ships in a tier 8 game is simply ignorant. the people on this forum understand that, the 10's of thousands that aren't don't...that's my frigging point. The one time I asked via in game chat, the reply isn't fit for the forum. ??? Your suggestion here if you have a better one ??? The only ignorance is that of the division that mixed tiers. THe first time someone enters a game after having done this, I guarantee they'll be told.